China blacklisted 151 illegal or regulated substances that have been found in food and feed over the past nine years, Xinhua reports. 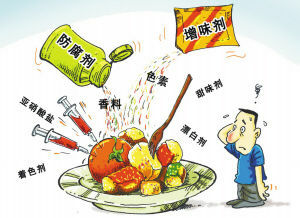 The list, compiled by the State Council's food safety committee, includes 47 inedible materials likely to be illegally added to food, 22 food additives easily abused and 82 substances forbidden in feed and drinking water for animals. Tonyred, an industrial coloring agent, and ractopamine, which is used to promote leanness in pigs, are among the materials listed. According to Chinese law, criminals producing and selling toxic or hazardous food could face a penalty as severe as the death penalty.